My new plow plane arrived…after a quick cleanup, I put it right to work. 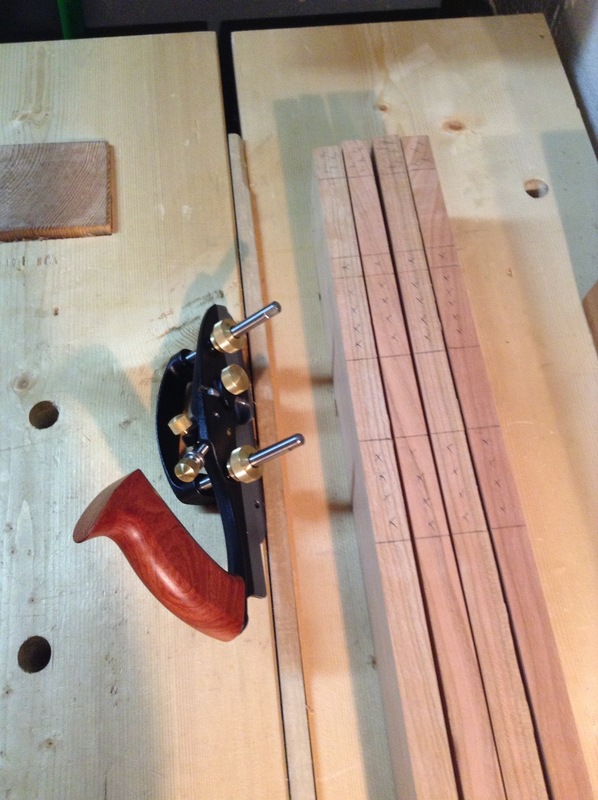 I clamped all four rails together to mark out the mortises before plowing the grooves for the panel. 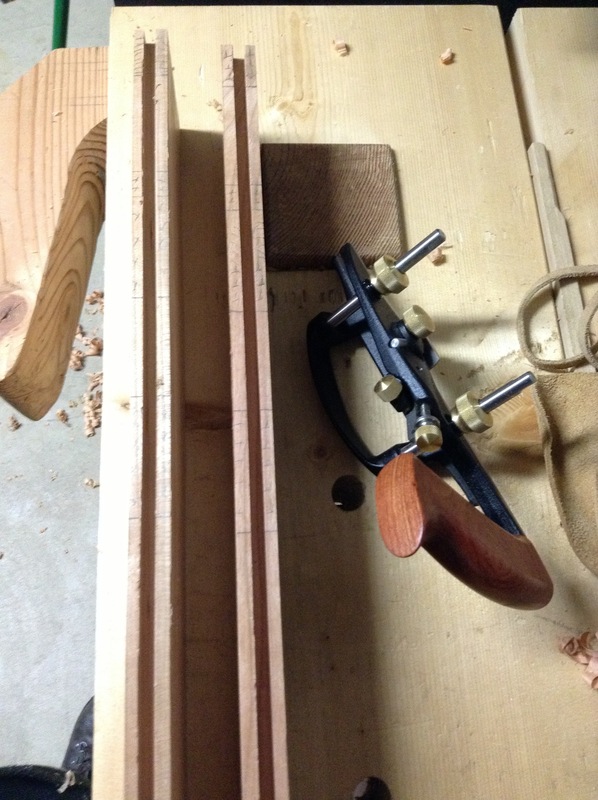 I wanted to plow the grooves first to help guide the chisel later when I chop the mortises. I set the plow against the reference and put it to work. 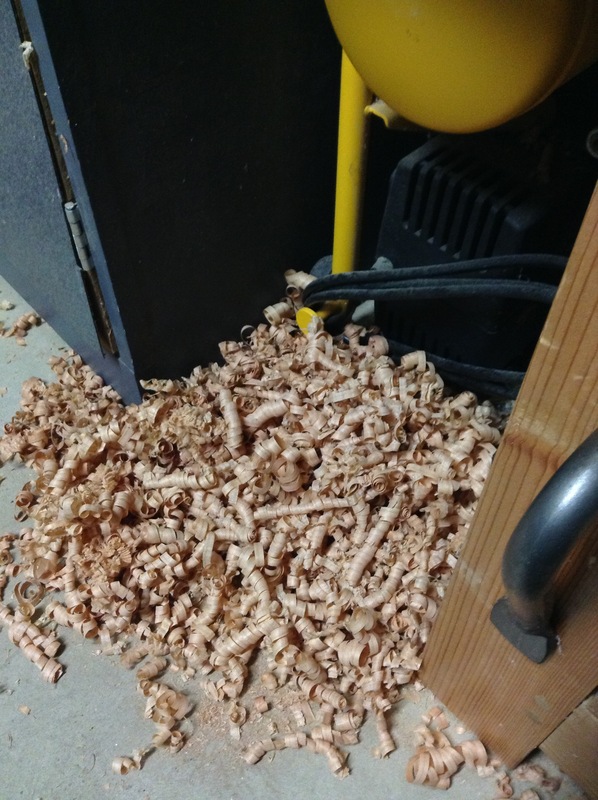 You can see from the mound of shavings just how much work it was. A couple of times I had to put the plane down to cool off, as it was too hot to touch. 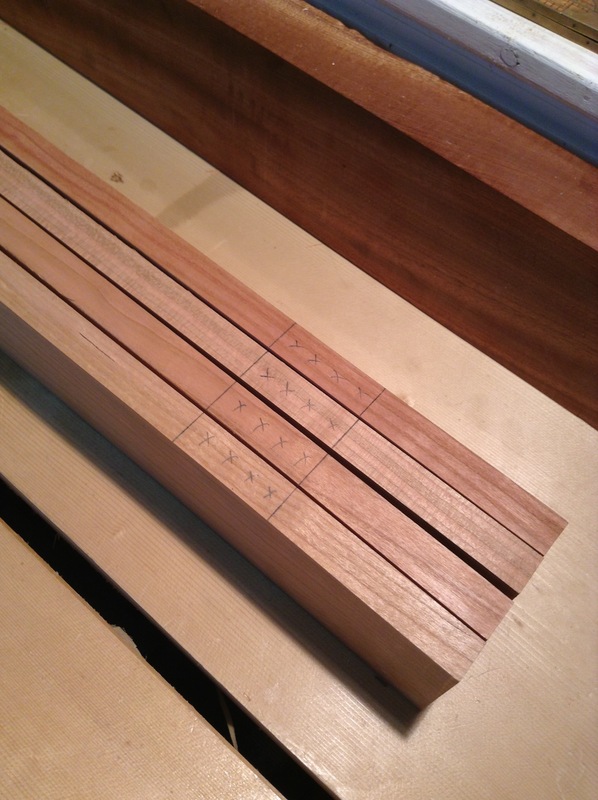 This entry was posted in Chiffonier, hand tools, VCF, woodworking and tagged cherry, chiffonier, hand tools, plough plane, plow, woodworking by villagecustomfurniture. Bookmark the permalink.